Tahoe Fund Board Members provide generous support, leadership and inspiration. *Read full bio’s below by clicking the Board Member’s name above. Katy Simon Holland retired in 2013 after serving in local government for more than 25 years, most recently as the Washoe County (NV) Manager for 15 years. As County Manager, she oversaw a budget of $800 million and 3200 employees serving a population of 423,000 residents spanning from north Lake Tahoe to the Oregon border. During her administration, Washoe County helped to protect 80,000 acres of open space, was recognized as the #1 Digital County in the US, was awarded the Cashman Good Government award three times by the Nevada Taxpayers Association, and was three times named the #1 Local Government in the US for Waste Reduction. Ms. Simon Holland has returned to consulting as President of Simon and Associates, and in that capacity has worked with local and state government clients throughout North America in Nevada, California, Arizona, Colorado, Florida, North Carolina, Georgia, Washington, Alberta Canada, Maine, and Massachusetts, as well as non-profits and corporations such as Qualcomm, Baxter Healthcare, Sony, Mitsubishi, USWest technologies, and many others in leadership development, vision, strategy, and innovation. Named one of Twenty People to Watch in the New Millenium by the Reno Gazette-Journal, she is a Credentialed Manager through the International City/County Management Association (ICMA), and served on the faculty and as Innovation Mentor for the national local government Innovation Academy through the Alliance for Innovation based at Arizona State University. In 2016, she authored the Innovation Academy Playbook to encourage the expansion of innovative capacities in local government. She has also served as a guest lecturer and Manager in Residence for the USC (University of Southern California) Sol Price Graduate School of Public Policy, and as a senior advisor for ICMA and Peak Democracy. She currently serves as an elected School Board Trustee for the Washoe County School District, and was elected by her fellow Trustees to serve as President of the Board. Her volunteer non-profit Board experience ranges from the Nevada Land Trust to the United Way, the Children’s Cabinet, and the Access to Healthcare Network, among many others. She has taught at the University and Community College levels, is a frequent public speaker, has been published in national publications, and was honored to be selected as an Olympic Torchbearer for the 1996 Olympics. She lives in Reno, Nevada where she and her husband enjoy kayaking, hiking, and all that Lake Tahoe and Lake Almanor have to offer, and she is a proud mother and grandmother. Allen Biaggi is a third generation Nevadan from Douglas County and is a graduate of the University of Nevada, Reno with degrees in Hydrology and Architectural Engineering Design. Mr. Biaggi served as the Director of Nevada’s Department of Conservation and Natural Resources (a cabinet level position) under governors Guinn and Gibbons and as the Administrator of the Nevada Division of Environmental Protection under governors Miller and Guinn. During his tenure with the State of Nevada, Mr. Biaggi served on numerous boards and commissions including The Commission on Workplace Safety, the Governor’s Climate Change Committee and the State Petroleum Board. Most notably for the Lake Tahoe Basin, Mr. Biaggi served on the Bi-State Fire Commission in the wake of the Angora Fire and sat on the Governing Board of the Tahoe Regional Planning Agency for six years, including three years as its chairman. Mr. Biaggi retired in 2010 after more than 30 years of service. He is the Principal of A. Biaggi & Associates, LLC and is an avid cyclist, skier and hiker. He resides in Douglas County with his wife Linda. Julie Motamedi Teel has deep roots in Lake Tahoe. She has been a corporate officer for Lakehouse Mall Property Management since 1998, and is a founding member of the Truckee Tahoe Community Foundation. She has a long history of volunteerism and service to the Tahoe community, as a former member of the TRPA governing board, and philanthropic supporter of various causes. Julie is currently a Trustee for Loyola Marymount University in Los Angeles, board member of the Crocker Art Museum, National Salvation Army Advisory Board, Make-A-Wish Board, Raley’s Board of Directors, Food For Families Board of Directors, Sutter Hospitals Foundation Trustee and the Thomas P. Raley Foundation. Verdi DiSesa is originally from Philadelphia and spent his early years on the East Coast, graduating from Harvard College in 2009. As a San Francisco resident, he and his wife frequent the Tahoe Basin on most weekends (and sometimes weekdays) to explore and take advantage of the natural beauty of this unique environment. Verdi spends most of that time recreating outdoors, whether that’s downhill or backcountry skiing, backpacking, fly fishing, snowshoeing or simply soaking in everything else Tahoe has to offer. When not exploring the mountains, rivers and lakes around the Basin, Verdi is a Client Advisor for the Private Bank at J.P. Morgan. He works with clients in the Bay, greater Sacramento and Reno/Tahoe areas to deliver holistic financial advice, including asset allocation and portfolio solutions, banking and lending services, trust and estate planning, and philanthropic advice. Prior to joining J.P. Morgan in early 2013, Verdi worked at Goldman Sachs in as an analyst in their Private Wealth Management group until mid-2011, when he moved to San Francisco to join their Investment Grade Credit sales and trading team. In addition to serving on the board of the Tahoe Fund, Verdi is also a current board member for the Holy Family Day Home, an organization dedicated to providing affordable, high quality, early childhood education and family support services in a stable and nurturing environment to the children of working families. He previously served on the Young Professionals Board of SquashDrive, an enrichment program for underserved Bay Area youth that helps students reach their academic, athletic, and personal potential through individualized educational support, squash instructions, and character development. He also currently serves as Commissioner of the Olympic Club Squash Program, and in that capacity oversees both the Men’s and Women’s squash teams, coordinating competitive matches, and organizing social- and philanthropic-engagement events on behalf of the members. Verdi is the oldest of four boys who are scattered around the country and share his passion for skiing and the outdoors. His wife, Kelsey, is an attorney at Cooley LLP, a corporate law firm headquartered in San Francisco, but originally from the snowy woods outside Ottawa, Ontario. Verdi and Kelsey have a dog, Linus, who accompanies them on their sojourns around the Bay Area and Tahoe Basin, and also loves their explorations. Jim Boyd was appointed by Gov. Arnold Schwarzenegger to a second five-year term on the California Energy Commission on February 2, 2007. He was first appointed to the commission on February 6, 2002, and he was appointed to the Vice Chair position on June 16, 2006. Prior to his appointment, Boyd was Deputy Secretary and Chief of Staff of the California Resources Agency. He created and chaired the state’s first Joint Agency Climate Change Team and the state’s Natural Gas Working Group. Boyd served for 15 years as the Chief Executive Officer of the California Air Resources Board (CARB), directing the nation’s largest state air pollution control program. During this period, CARB led the nation in establishing new pollution control programs for motor vehicles and fuels, toxic air contaminants, consumer products and industrial and area sources. He currently presides over the Energy Commission Transportation Committee and currently serves on the Board of Advisors of the University of California Davis Institute of Transportation Studies. Boyd is the Energy Commission’s representative on the Steering Team of the California Fuel Cell Partnership and has served on the Governor’s Hydrogen Highway Network Implementation Advisory Panel. He led the commission’s efforts to develop the state alternative fuels plan, which was requested by the governor and California State Legislature. He oversees the implementation of Assembly Bill 118, which established an Alternative and Renewable Fuel and Vehicle Technology Program at the commission. Boyd chairs the Bio-energy Interagency Working Group that developed and is now implementing the Governor’s Bio-energy Action Plan and also serves as the state’s liaison to the Nuclear Regulatory Commission and as California’s representative on the Border Governors’ Conference Energy Worktable. He presently serves on the Governor’s Climate Action Team. A California native, Boyd received his Bachelor of Science degree in Business Administration from the University of California, Berkeley. Las Vegas native Tim Cashman currently serves on the boards of the Tahoe Regional Planning Agency and the Nevada Taxpayers Association. Following graduation from Loyola Marymount University, Los Angeles, he joined his family’s heavy equipment business in Reno, eventually managing operations in Reno and Elko before being named Vice-President of Cashman Equipment. He is co-owner of the Harley-Davidson dealerships in Southern Nevada and Utah. In addition to his business endeavors, Tim has also served on the Nevada Department of Transportation’s Blue Ribbon Task Force, the Nevada Electric Energy Policy Committee and the State of Nevada Commission on Ethics. Since 2004 he has served as a trustee of the Keyser Foundation. Tim enjoys spending time with his wife and two daughters, and is active in fishing, riding and boating. Art Chapman is the Founder of JMA Ventures. Headquartered in San Francisco, JMA’s assets include but are not limited to The Fairmont Heritage Place Hotel at Ghirardelli Square, the Epic and Waterbar restaurants in San Francisco, Homewood Mountain Resort at Lake Tahoe, The West Shore Café and Inn, ownership interests in the Squaw Valley and Alpine Meadows ski resorts, and the Red Lodge ski resort in Red Lodge Montana. Other assets include commercial properties in the State of Washington and Austin, Texas. Art is a former Director of Community Development and Redevelopment in a large California city and served as a part time instructor in Public Administration and Community Development at the Center for Public Policy and Administration at California State University at Long Beach. He was a founding member of the Tahoe Fund. He was also appointed to and served on the bi-state, California, Nevada consultation committee that guided the development of the recently adopted Tahoe Regional Plan which is administered by the Tahoe Regional Planning Agency. Until recently, he also served on the Board of Trustees of Sierra Nevada College. In 2011, Art was recognized as the Citizen of the Year by the North Lake Tahoe Resort Association. 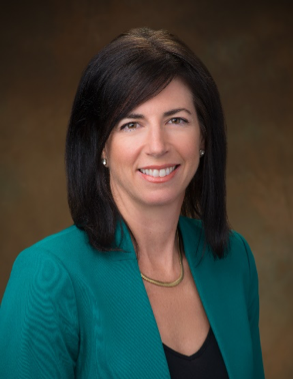 Stacey Crowley is the Vice President of External and Customer Affairs for the California Independent System Operator (CAISO). She oversees all aspects of customer support, communications, government relations and external policy activities. She also manages coordination with the CAISO’s Board of Governors and its committees to facilitate quality engagement and dialogue with stakeholders on a variety of western energy issues. Stacey’s strength in developing partnerships and fostering consensus grew in her previous role as the Director of the Nevada State Office of Energy and advisor to Nevada Governor Brian Sandoval. There, she helped define important energy opportunities and challenges in the state. She managed Nevada’s federal grant programs and economic incentive regulations for clean energy projects. In that role she served as Chair of the Western Interstate Energy Board and served on the board of the National Association of State Energy Officials. Earlier in Stacey’s career, she practiced as an architect with an emphasis on environmental sustainability. She managed and developed complex space design, land planning and design standards supporting all facets of sustainable community development. Stacey is a LEED Accredited Professional and has a Bachelor of Science degree in Architecture from the University of Michigan and Masters of Architecture from the University of New Mexico. She and her husband Tim love to bike, kayak, and spend time with wonderful friends and family. Scott Gillespie is Principal of SANDBOX, an award-winning architectural design and engineering firm, founded in Tahoe City in 2001. Scott is also co-founder of Moxie, a Truckee-based interior design company. Scott has designed several hundred custom homes in the Tahoe-Truckee region, including over 100 in Martis Camp, as well as Tahoe lakefronts and others in Montana, Utah, Colorado and Hawaii, garnering numerous design awards along the way. His aesthetic spans the full spectrum from rustic mountain architecture to contemporary work. A 23-year resident of Lake Tahoe, Scott began his career on the East Coast working in the fields of architecture and construction. He followed his heart to the mountains, moving to Tahoe City in 1994, where he worked for a local architectural firm for several years while pursuing the US Freestyle Ski Team. Scott received a Bachelor’s of Art in Architecture with honors from Middlebury College, Vermont in May 1993. He supplemented his education at Middlebury with studies at Columbia University’s Graduate School of Architecture and Urban Planning, in New York City. An avid outdoorsman, Scott enjoys spending time on the Lake, biking and skiing with his wife and two young children. Mike Goar joined Vail Resorts in May 2013 when the company acquired Canyons Resort in Utah where he had served as General Manager since 2007. He continued in that capacity until being appointed Vice President and Chief Operating Officer of Keystone Resort in May 2015. In July 2017, Mike assumed the position of Vice President of Vail Resorts Mountain Division and Chief Operating Officer of Heavenly Mountain Resort. His duties include oversight of Vail’s three Tahoe resorts, Heavenly, Kirkwood and Northstar. Mike began his career at Sunrise Ski Resort in the White Mountains of Arizona. He has over 40 years of ski resort industry experience, including 27 years at Solitude Mountain Resort in Utah, nearly nine years at Canyons Resort in Utah, and two at Keystone in Colorado. While serving as General Manager at the two Utah resorts, Mike oversaw and directed multiple large scale projects such as the master planning, entitlement and development of Solitude including the Alpine Village and a $37 million on-mountain re-creation at Canyons which included new lifts, snowmaking, restaurants and ski terrain. While in Utah, Mike established relationships with numerous local, county and state government agencies on behalf of the Utah ski industry and was directly involved with ski-related legislation. In Colorado, Mike served on the board of trustees of The Summit Foundation. Mike currently serves on the boards of the California Ski Industry Association and the South Tahoe Alliance of Resorts. Cindy Gustafson is the CEO of the North Lake Tahoe Resort Association and North Tahoe Chamber. Her passion for Tahoe brought her to the Lake 30 years ago and during that time she has served on numerous boards, committees and volunteer community efforts. Ms. Gustafson recently retired as General Manager of the Tahoe City PUD after a 19 year career. She successfully secured grant funding for and administered $30 million in a variety of capital projects including bike trails, sidewalks, water and sewer system upgrades, community buildings, public parks, beaches, and environmental restoration projects. In addition to her professional career, Ms. Gustafson has served in a wide variety of appointed and elected positions requiring complex public policy strategies. She served four years as one of the State’s five Fish and Game Commissioners, appointed by Governor Schwarzenegger. Most recently she chaired the Marine Life Protection Act Blue Ribbon Task Force, charged with developing recommendations for the protection of the State’s waters along the North Coast of California. She also served for two years on the Lake Tahoe Basin Federal Advisory Committee, five years on the Truckee Tahoe School Board of Trustees, two years on the Tahoe Baikal Institute Board, and six years on the Placer County Transportation Planning Agency Board of Directors. Ms. Gustafson and her husband and sons enjoy Lake Tahoe’s many outdoor recreational activities. Deb Howard is Pres., Broker and Owner of Deb Howard & Co., a CA and NV Real Estate firm located in So Shore Lake Tahoe. Deb moved out of Alaska, where she was raised, to South Lake Tahoe in 1978 with her husband, Tony, to raise their two children and to enjoy this beautiful alpine community. She began her career in real estate and her active participation in South Lake Tahoe community affairs shortly thereafter. John has had a home in the Lake Tahoe region for more than 40 years. He is an active outdoors person and very involved in the local Tahoe communities. He has been a Board member of the Truckee Tahoe Airport District since 2010 and served as its President in 2014 and 2015. John is the President of the North Tahoe Commercial real estate corporation and the President of his own investment management company, Triley Ventures. Prior to retirement in 2004, John was a securities analyst on Wall Street for 20 years where he followed the high tech sector for Montgomery Securities, Salomon Brothers, Salomon Smith Barney and Citibank. John began his technology pursuits at IBM in 1969. This led to his transition to Wall Street in 1985 as a technology analyst. He graduated from the University of Oregon in 1966 with a Bachelor of Science degree in Accounting & Statistics. Upon graduating, John went to work for Main LaFrentz & Co., the CPA firm that worked with Hewlett Packard at the time. John has been married to his wife Glennis for 47 years. They have two adult children, one of which has chosen Tahoe as her permanent residence. Kevin Marshall co-founded Clear Capital® in 2001 with Duane Andrews. As President, Kevin built Clear Capital’s foundation on unmatched customer service, the most accurate and high quality valuation products, and a progressive technology platform. Under Kevin’s leadership, the company’s commitment to its customers and the mortgage industry has been unwavering. The company has grown to over 350 employees with Clear Capital’s “wherever it leads, whatever it takes” philosophy underlying all customer relationships and innovative solutions. Clear Capital was founded as a logical offshoot of the revolutionary REONetwork.com, the most widely used searchable database of real estate owned (REO) vendors. Since REONetwork.com was created in 2000, it has become a trusted resource for asset managers and brokers, and is currently home to more than 15,000 registered REO professionals. Prior to REONetwork.com, Kevin held several leadership positions in technology management, serving as Vice President, Web Development at LeaseLoan.com, and as Director, Web Division at JD Stewart and Associates. At both companies, he was responsible for technology strategy, product strategy, and product development, and created innovative solutions for migrating data-intensive paper products and client-server applications to database-driven, web-based business applications. Kevin and his family moved to the town of Truckee, just north of Lake Tahoe, California in the late 1990s with the goal of growing a nationwide financial services company in the scenic mountain community. He and Duane quickly realized the area attracted people with a healthy, outdoor lifestyle and provided an incredible source of hardworking, customer-centric individuals, a perfect place to build their company. Mr. Merrill was born and raised in San Francisco and received a BA degree from Stanford University and an MBA degree from The Wharton School at the University of Pennsylvania in 1967. Following graduation, he began his career in venture capital by joining BankAmerica Capital Corporation. In 1976 he became president of BankAmerica Capital Corporation and managed this very successful venture activity until 1980 when he formed and managed Merrill, Pickard, Anderson & Eyre (MPAE), a privately held venture capital partnership. During his venture capital career, Mr. Merrill was involved in the start-up funding of Federal Express, Advanced Micro Devices, America Online, Amgen, Applied Biosystems, Aspect Telecommunications, Cypress Semiconductor, LSI Logic, Synopsys, Grand Junction and Kalpana (acquired by Cisco), Maxim Integrated Products, Palm Computing, and Rambus. In 1996 MPAE stopped making new investments and Mr. Merrill helped form Benchmark Capital with several of the MPAE partners. He continues to be a special limited partner in that firm. Mr. Merrill is presently devoting a significant amount of time to civic and non-profit activities as well as his private investments. He was chairman of the Board of Trustees of Town School for Boys, a member of the Committee to Restore the San Francisco Opera House, and is a past director of the Children’s Health Council and the Tahoe Regional Planning Agency. Mr. Merrill currently serves as Chairman of the Board of Aspire Public Schools, the largest Charter School organization in California. He is also on the Board of the UCSF Foundation and the Haas Center at Stanford University, as well as an investment partner in New Schools Venture Fund. Mr. Merrill is a past president of the Western Association of Venture Capitalists, a past director of the National Venture Capital Association, and was a director of numerous privately-held companies. Mr. Merrill lives in San Francisco and is the father of two grown sons. He maintains a summer home near Tahoe City. Tom Mertens first visited Lake Tahoe as a child over 50 years ago. A communications and media consultant with a background in print and broadcast media, he has designed and implemented communications plans for multiple technology, energy and renewable resource entities. In 1991, Mertens joined the board of directors of the League to Save Lake Tahoe (Keep Tahoe Blue), a non-profit founded in 1956. He has served as chair of the League board and headed committees on forest health, legislation and communications. In 2012, he was awarded Tahoe’s top environmental honor, the Dwight Steele Award. He was a former chair of the board of the non-profit Tahoe Baikal Institute involving top graduate students and young professionals from Russia, the United States and other nations who until 2015 annually studied on-site environmental issues at Tahoe and Lake Baikal in Russia. Tom has been a guest lecturer on Tahoe issues at California State University-San Jose, and is a former chairman of the San Jose/Silicon Valley Convention and Visitors Bureau and the San Jose Elections/Ethics Commission. An avid outdoorsman and ice hockey player, Mertens and his family enjoy time at Rubicon Bay and hike, fish, backpack, snowshoe and ski in the Tahoe area. Jim Porter is senior partner in the Truckee-based law office of Porter Simon. For over 35 years, he has practiced law in the Truckee/Tahoe and Reno areas, and is a licensed California real estate broker. His weekly column, “The Law Review,” has appeared in the Sierra Sun for over 30 years. He pens a bi-monthly California Law column in the Washoe County Bar publication, The Writ. He has taught classes at various local colleges and is a member of several bar associations. In 1995, Jim was the first recipient of the “Attorney of the Year” award presented by the Tahoe-Truckee Bar Association. He was the Governor’s appointee to the Bipartisan McPherson Commission and the California Fair Political Practices Commission. In 1998, Jim helped form and is Chairman Emeritus of the Tahoe Truckee Community Foundation – initiated with a $1 million donation from William Hewlett of the Hewlett-Packard Company. The Foundation is in its 13th year and has an endowment totaling nearly $15 million. Jim has served on numerous local and regional boards. Jim is a fourth generation Northern Californian and grew up visiting the Tahoe area for family vacations since he was in elementary school. In 1964, his family bought a vacation cabin in Crystal Bay, which they owned until 1994. A University of California, Davis graduate, Jim received his law degree with honors from the University of California, Hastings College of Law. Jim, his wife and two daughters, both in college, enjoy life in Truckee – mountain biking, cross-country skiing, hiking, camping, fishing and gardening. Cory Ritchie is an active supporter of environmental causes, bilingual education and equal access to youth sports at Lake Tahoe. She has been a volunteer for numerous organizations, including South Lake Tahoe’s Sustainable Rebuilding Expo, Youth Task Force, Boys and Girls Club, Girls on the Run Sierra, and the League to Save Lake Tahoe. She is chair of her Family Council, a family business that promotes the philanthropic legacy as well as the human and intellectual capital of family members, and is active with the Parasol Foundation in Incline Village. Ritchie and her husband, Ryan, live in Stateline, Nevada, where they are raising two young daughters. She enjoys spending time with her family skiing, backpacking and mountain biking. Chuck Scharer has lived and worked in Lake Tahoe for 29 years and currently lives with his wife Susan in Zephyr Cove, Nevada. Mr. Scharer recently retired as President and Chief Executive Officer of Edgewood Companies, a closely held diversified real estate company, which has owned over 500 acres of land in Lake Tahoe since 1896 including the Edgewood Tahoe Golf Course. A veteran of the hotel/casino industry, prior to joining Edgewood Companies, Scharer completed an 18-year career with Harvey’s Casino Resorts based in South Lake Tahoe, Nevada. He served as President and CEO from 1995 to 2001 and Chief Financial Officer from 1988 to 1995. During his tenure, Scharer helped lead Harvey’s to become one of the most respected and successful companies in the hotel/casino industry. In addition to his affiliation with the Tahoe Fund, Mr. Scharer is a member of the Board of Directors of Barton Healthcare System in South Lake Tahoe, California, the Tahoe Prosperity Center, and the South Tahoe Association of Resorts. He also served as a Commissioner on the Nevada Commission on Tourism from 1999 to 2008. Stephanie Tyler, President of AT&T Pacific Northwest and Nevada, is a highly accomplished external affairs executive and former Nevada State Senator with nearly 30 years of multi-state experience in administering government relations programs, corporate communications, campaign management and public service. Stephanie has been in External Affairs with AT&T for more than 15 years. After lobbying communications issues in the California Legislature for 6 years, she was asked by Governor Arnold Schwarzenegger to take a one-year leave of absence from AT&T to serve as the Political Director to his successful re-election campaign. She then returned to the company where she now maintains responsibility for a 5-state western region. A native Nevadan, Stephanie spent the early years of her career in a variety of political jobs including staff to a U.S. senator, running political organizations and statewide election campaigns. She has been an active member of numerous community boards and commissions in both Reno and Las Vegas including the Guinn Center for Policy Priorities Board of Directors, the National JAG Board of Directors and the Nevada affiliate of the International Women’s Forum. Stephanie is a graduate of the University of Nevada, Reno. She has homes in Carson City, Nevada and South Lake Tahoe, California. A graduate of Stanford and of the University of Southern California Graduate School of Urban and Regional Planning, Terry is a frequent presenter at regional, national and statewide workshops and symposiums on general plans and sustainability best practices and case studies. She has been honored with the California State Association of Counties Distinguished Service Award, the Environment Now Award, state and national American Planning Association awards and the Carla Bard Award for Individual Achievement. Resources. He previously served as Special Advisor to the Director and has also served as the Administrator of the Nevada Division of State Lands. Jim currently represents the Nevada Department of Conservation and Natural Resources on the Tahoe Regional Planning Agency Governing Board. Jim has over twenty years of resource protection and land use planning experience in Nevada. He has been responsible for coordination of Nevada’s environmental improvement efforts at Lake Tahoe, implementation of a multi-agency statewide conservation and natural resource protection grant program, efforts for the protection of Nevada’s sagebrush ecosystem, operations of the Nevada State Land Office, administration of the Conservation District program, and served as Executive Officer for the Nevada State Land Use Planning Agency. Joanne Marchetta is the Executive Director of the Tahoe Regional Planning Agency, a bi-state Compact agency whose mission is to cooperatively lead the work to preserve, restore, and enhance the natural and human environment of the Lake Tahoe Region. Since 2009, she has led the Agency and basin through transformational changes to strengthen the environment, economy, and communities of Lake Tahoe. She came to Tahoe in 2009 to serve as TRPA’s General Counsel before taking on the leadership role as Director. Ms. Marchetta has always had a passion for combining environmental protection, land use planning, and real estate development in unique and responsible ways. Following graduation from the University of Michigan with a forestry degree and Catholic University with a law degree, she started her professional career in Washington DC as a litigator for the Department of Justice. She led environmental enforcement cases under many of the federal environmental statutes — clean air, clean water, and hazardous waste cleanup actions. She worked for US EPA during the Bush and Clinton administrations where she negotiated some of the largest hazardous waste cleanup agreements in the state of California. Later at the Presidio Trust in San Francisco, she helped to transform the Presidio from an Army base to a financially self-sustaining national park. Joanne serves on the Board and Executive Committee of the Tahoe Prosperity Center. And she enjoys spending time with her partner, walks with her dog, martial arts, hiking, cycling, reading and experiencing all the best of Tahoe’s out of doors. Patrick Wright is Executive Director of the California Tahoe Conservancy, a state agency charged with protecting and enhancing natural resources and recreational opportunities in the Lake Tahoe Basin. He was previously Director of the CALFED Bay-Delta Program, where he led a consortium of agencies and stakeholders in managing one of the nation’s largest collaborative water management programs. Wright also served as Deputy and Assistant Secretary for the California Resources Agency in the administrations of former governor Gray Davis and Gov. Arnold Schwarzenegger and served on the board of the California Coastal Conservancy. Prior to these appointments, he was a senior policy advisor to the Deputy Secretary of Interior and the Regional Administrator of the U.S. Environmental Protection Agency.